After the 7.8 magnitude-devastating earthquakes, Nepal suffers a lot, over 9000 people have been died and over half millions of people become homeless. In this tuff condition, the mostly vulnerable group is children group whom were witnessed that their parents have been died in front of them and they witnessed that their houses been collapsed. It might be certainly hit children’s mind very deeply and to make them feel okay and let them reintegrated to family again and back to normal life, this council camp could be best and fruitful. 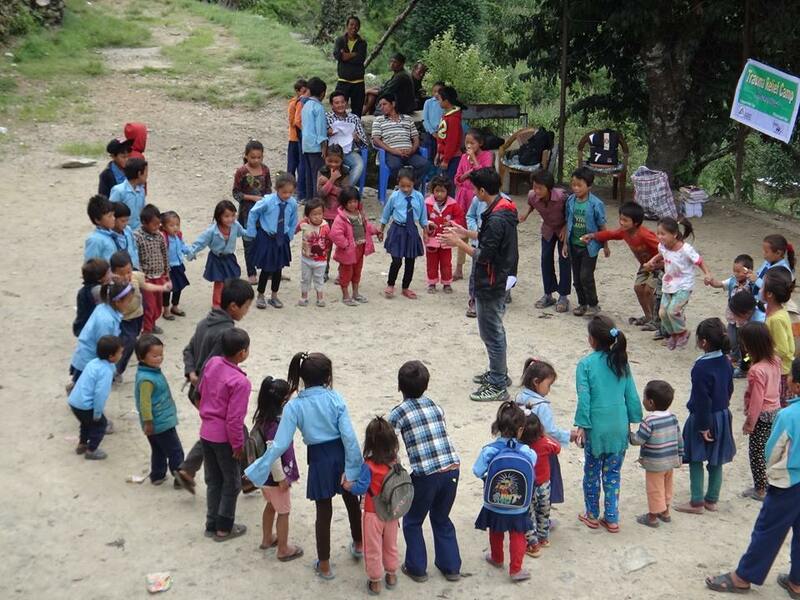 By addressing all these things, we Living NEPAL in partnership with Cheers Nepal a local NGO in Nepal which is dedicated to work in the child and youth sector are working in counselling parts. 3.At first, we will gather all the students and give brief introduction about us and also, we will hear from them as well. 4.secondly, we play different out door and normal games with children so that they can be familiar with us and that makes us to be trustworthy friends of them. 5.Then we will give them individual and group counselling regarding on related issues i.e. we let them tell jokes, sing a song or let them show all the talents they got also we will motivate them from different way. 6.To connect body and mind we train them to do meditation which helps them to feel more peace and prosperous from inside. 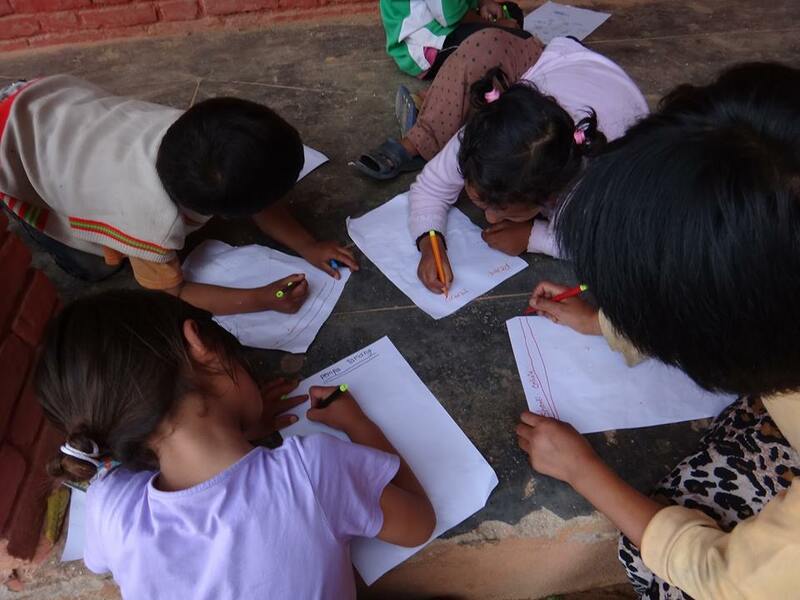 Art for all: In this session, we will let them use their creativity and express their feeling through making drawings, arts and colouring and also, we will reward the best drawings. 8.we will deliver moral education to children that what are their duties and responsibilities also how they can contribute in nation building. 9.we will interact with kids that how we can cope in difficult situation and also about to be more responsible for our nation. This is our tentative plan for each school and we will focus specially on counselling the kids and providing basic educational materials. 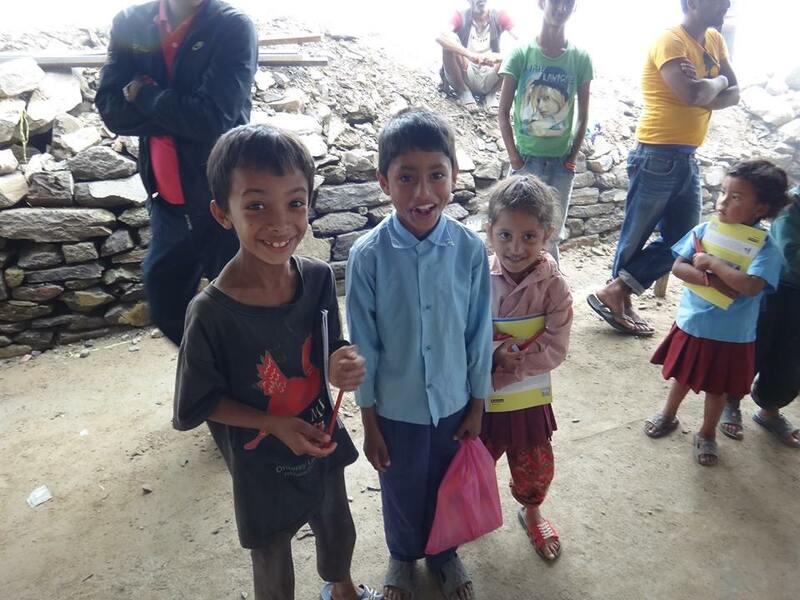 One of the mostly vulnerable groups is children group who witnessed this earthquake by themselves. It has certainly hit children’s mind very deeply and are badly traumatized to see their own family member’s dead bodies, collapsed houses and schools and others. 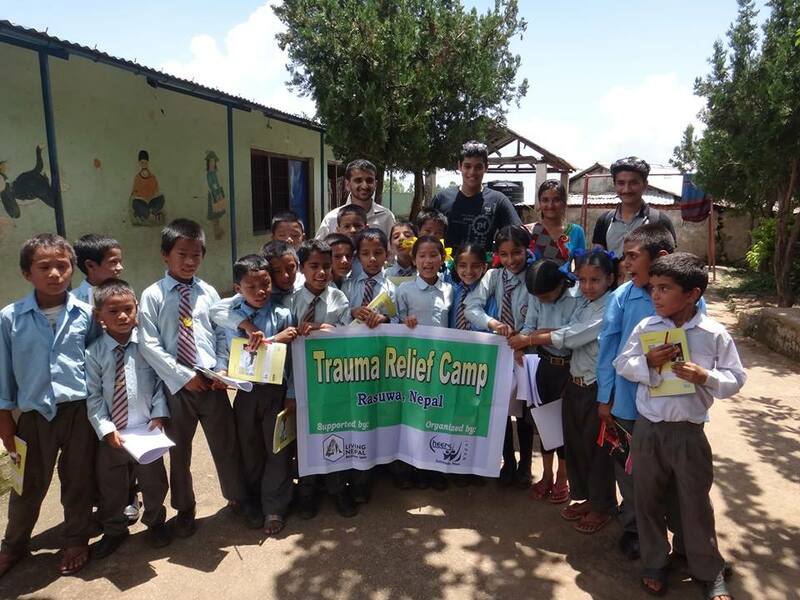 To bring them into normal life and in order to accomplish this goal, Cheers Nepal and Living NEPAL are connected as a partner to organize Trauma camp for these kids. 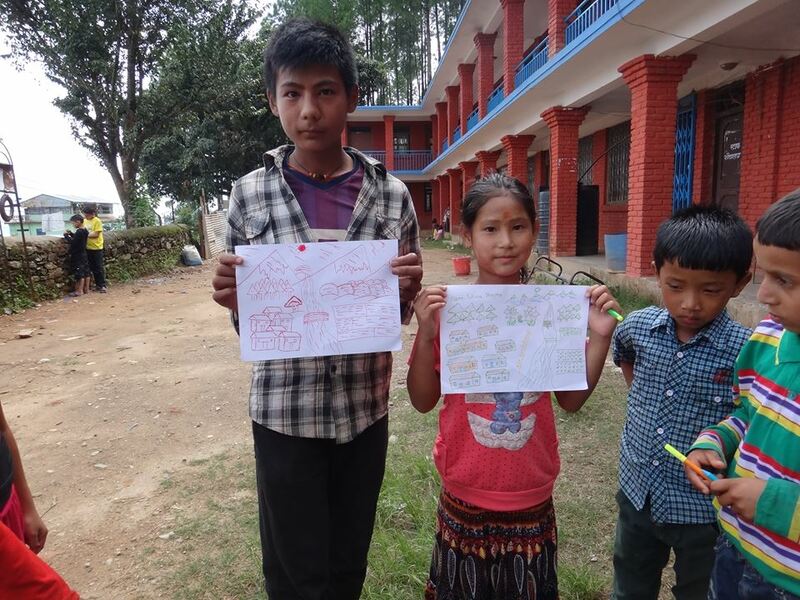 This letter certifies that “Living Nepal” a legal organization of Barcelona, Spain has agreed to provide 2500€ for Cheers Nepal, legal NGO of Kathmandu, Nepal for organizing Trauma Camp for Rasuwa district for 15 schools. The money shall be used to buy stationery goods, sports materials and transportation cost. 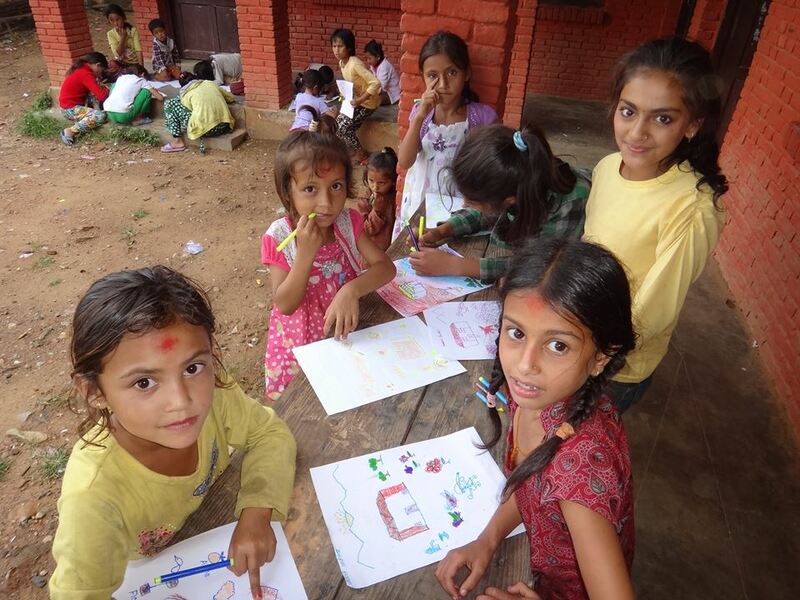 Cheers Nepal shall take the lead of this project in permanent collaboration with Living NEPAL. We will also work as partners in future for upcoming projects. After completion of this project Cheers Nepal will submit a proper and systematic report and also the audited report from the certificate charter accountant and all the photos that have been taken. 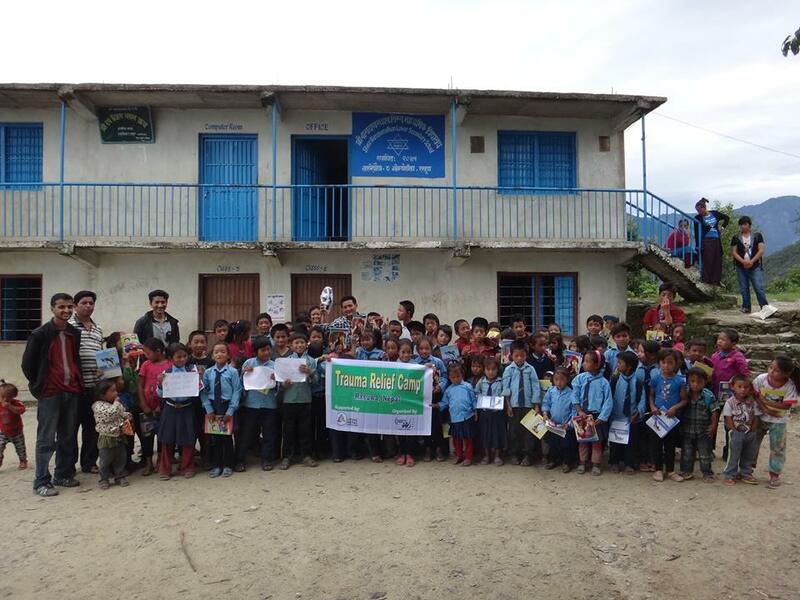 After completing the camp Cheers Nepal will give complete report of daily activities in Rasuwa and also will provide all the photos and details. Also, will send all updates about the projects with the details where we utilized the money and supplies. Will also update via our website Cheersnepal.org, facebook page and other media with the names in supporting list. What we did in 4 hours? 3-4 hour- prizes to the best art, game winner and stationery goods for all. We also took photos and organizes school general cleaning after the program as a closing ceremony of the camp. -we bought each schools with stationery items for 200 students and remaining essentials were hand over to the principal. -We wanted to organize Trauma Relief Camp at 15 schools (2 in each days for 7 days previously) but since our budget was half, we organized the camp only for 7 schools in 4 days altogether (don’t get misunderstood, I have made you clear already). -Every schools (teachers, parents liked and encouraged and supported our programs and and students really enjoyed and gained learned a lot from this camp. -Principals and locals wants us to sponsor kids with their education especially to those who have lost their both the parents. -we also want to start campaign/project again child trafficking especially in Kathmandu valley.